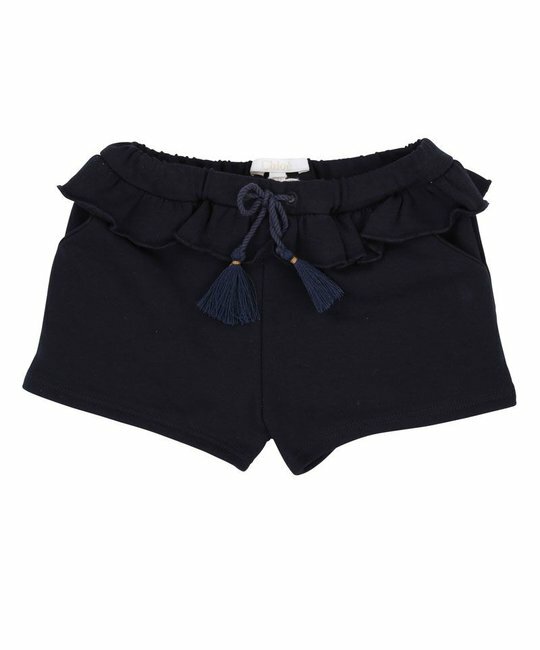 Chloé soft navy shorts with ruffled tassle waist tie and brand embroidery. 100% Cotton. Imported.